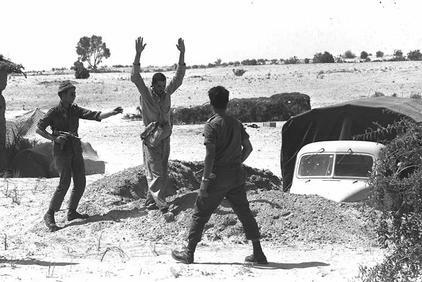 The Six-Day War, known also as '' The Setback'', broke out in June 5-10, 1967 between Israel and Egypt, Syria and Jordan. Tension prevailed border areas between the occupied Palestine and countries of Egypt, Syria and Jordan. In the Golan Heights, there was a semi-permanent exchange of artillery fire between the Syrian army and Israeli forces. Moreover, Israeli Occupation forces attacked the village of Samu on Jordanian borders, destroying it completely. Tension also took place between Israel and Egypt after the later decided to close the Strait of Tiran before Israeli ships heading to port of Eilat, which was considered by Israel as a declaration of war, especially after deploying Egyptian forces in the Sinai. 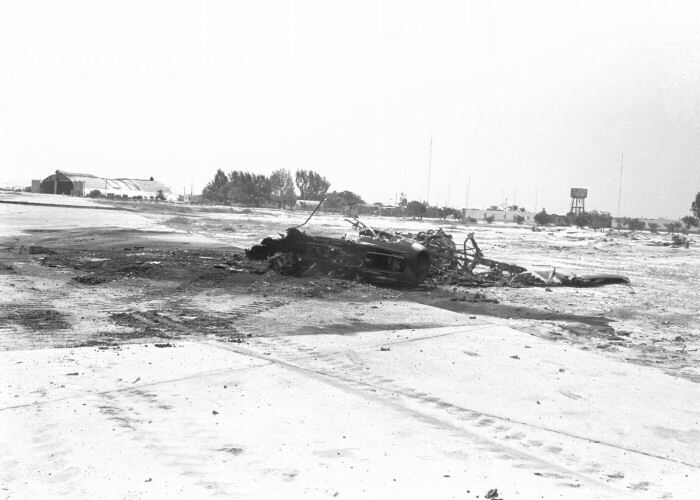 The spark of the war took place when Israeli Air Force fulfilled On 5 June, 1967 a surprise attack on the Egyptian air forces and airports, destroying 80% of Egyptian air force within 3 hours. Fighting broke out on fronts of Egypt, Syria and Jordan, where advanced weapons provided to Israel played so important role to get Israel victorious in the war. The Israeli army launched sudden attacks and occupied the West Bank, which was under Jordan rule and the Syrian Golan Heights and the Gaza Strip, which was under Egypt's rule. Israel occupied also Sinai, using internationally banned weapons of Kalnabalm shells and bazookas. Backed by the U.S. logistical support, Israeli army destroyed 85% of the Arab forces, especially the airports and runways of Egypt as well as airport of Damascus and Alzmir in Syria. Due to the lack of coordination between Arab forces and the weakness of Arab forces in the light of Israeli armament surprise, that destroyed airports and neutralized the Arab air forces, Arab armies were defeated. 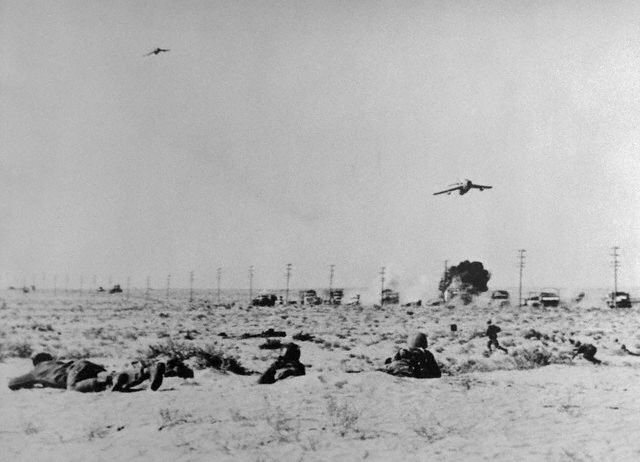 More than 15 thousand Arab troops and nearly a thousand Israeli troops were killed in the war. Some 4000 Arab troops were detained. As a result, Israel occupied the Gaza Strip, the Sinai Peninsula, Golan Heights, the West Bank and East Jerusalem, in addition to destruction of Arab armies' morale. Some 300 thousand Arabs in the West Bank, the Gaza Strip and cities along the Suez Canal (Port Said, Alasmaeilh and Suez) were forced out of their homes. Furthermore, the war created a new problem of Palestinian refugees and over one hundred thousand residents were forced out of their homes in the Golan Heights in Syria. 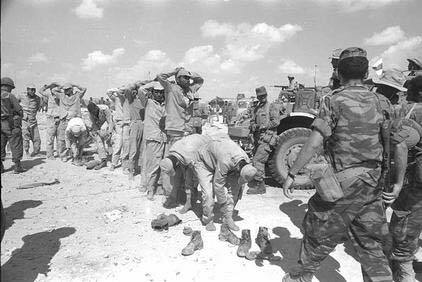 Consequences of the six-day war are still existed as Israel still occupies the West Bank and annex Jerusalem and the Golan Heights. It also separated the West Bank from Jordanian sovereignty and got Arabs' acceptance of the principle of «land for peace », which recognize right of Israel to the land of Palestine. Despite of steadfastness of the Palestinian people against the scourge of displacement and the consequences of the six-day setback, plans by Israel and international parties are still working the right of Palestinian refugees of their lands of Palestine and the right to return to their stolen homeland.